I don&apos;t even know why I&apos;m on the roof. Maybe it&apos;s in the hopes that Steve will follow. Ha! That&apos;s funny. Like I have a chance. I ruined my chances when I stormed out of the room. I run over to the edge of the roof and curl up, my back facing the door and the city sprawled out in front of me. A tear threatens to escape my eye again. I quickly wipe it away with my fingers. I need to stop crying! 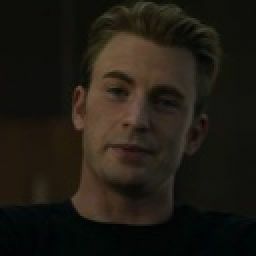 Ever since Steve showed up, my emotions have completely strayed from my agent training. I don&apos;t know what it is about him, but he just breaks me down. I keep it together for about a minute more, then, I let it all out. Sobs rack my chest and I feel helpless against the world. Eventually, I hear the door to the roof open. I quickly pull my sleeves down over my hands and wipe away the tears that had been collecting on my face. "Hey," a husky, familiar voice says. My head whips around. Steve is standing in the doorway. "I - I... I don&apos;t even know where to begin to make any of this up to you." "Well you can start by rescuing me as soon as you knew I was gone. Or maybe not dating Sharon. Or just MAYBE you could&apos;ve left her at home for tonight. The first night I&apos;ve seen my FAMILY all in one room again since... I don&apos;t even KNOW when. Sharon is literally one of the most repulsive people I&apos;ve ever met in my life! Why did you even go there?!" I was yelling now, my emotions flowing out of my mouth like a word vomit. "Because you weren&apos;t here! No one was here for me! I lost you and Sam all in one swoop! I can&apos;t believe this! Why are you so mad at me for moving on?" Steve says, his voice getting louder. "BECAUSE I LOVE YOU! I love you so much that it hurts. It physically hurt me to be around you for so long and not be able to call you mine. And every time you&apos;d leave for a mission, I&apos;d die inside because I thought that if you died out there, you would never know how much I love you! You make up my entire existence and you keep me going everyday. I don&apos;t think it&apos;s healthy for someone to love a person as much as I love you. And I thought you loved me too! You told me when you were dying! The last time I saw you, you were basically dead, and then HYDRA told me you were dead and I was crushed. When you saved me, the first 2 minutes of your visit in the hospital, I thought maybe our bond was too strong to be broken. But I guess not because you found the first tramp and brought her home! I can&apos;t believe you! I wasn&apos;t even gone for that long when you guys met!" "But I do love you Rachel! I love you so much that I needed someone to drag me away from the thought of you!" "Thanks Steve! That makes me feel so much better! You had to get Sharon to forget about me! Awww, I love you all over again!" I say, moving closer to him. "It wasn&apos;t like that! I just... It wasn&apos;t even a real thing. I convinced myself that I liked her in order to try and get over you." He says, trying to justify his actions. "That doesn&apos;t make me feel any better! I can&apos;t forgive you because of that sentence. I want to be with you. I always have but..." I try to keep him away but with every word I&apos;ve said he&apos;s gotten closer. He cuts me off with a kiss. It&apos;s one of those kisses that you will remember for the rest of your life. Soft and sweet, yet passionate. I&apos;m still so mad at him, furious even. But in this moment, I&apos;m at the lowest point I&apos;ve ever been. A tear escapes my eye as Steve pulls away from me. "Rach, I could never string enough words together for you to forgive me. 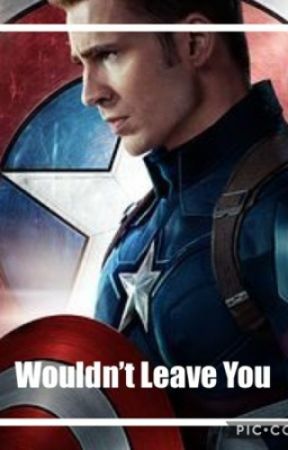 But I do love you. I love you so much that I would go to the moon and back for you. Being frozen was the best thing that could&apos;ve ever happened to me. I thought I loved Peggy and I thought that Sharon and I could be a thing. But the truth is, no one I&apos;ve ever known makes me feel as happy, silly, funky, and amazing as you make me feel everytime I see you. You make me complete. The first day I met you, I knew you were special. And I am so grateful that you have stuck with me for as long as you have. I know you are unhappy now, and you may never fully forgive me. But I love you and I really want you to try. I&apos;ve been fighting for you for so long Rach. I messed up and it was one of the worst mistakes I&apos;ve ever made. Please, just try." and with that, he releases me from his embrace, turns away, and goes back inside. I put my hand up to my lips and smile. We finally made it.